Oscar bags for celebrity attendees are often stuffed with $100,000 or more of luxury products spanning personal care essentials, jewelry or other accessories, and even gadgets. Little wonder why some companies slobber all over themselves, vying for the honor of giving free merchandise to the stars — the hype factor of seeing JLo or George Clooney sporting a particular brand out in the wild can send the PR machine into overdrive. This is why singers, actors and athletes get buzzworthy gear before the rest of us in the mainstream. Well… at least some of the time. Not so, if the product is a pre-release Apple gadget. Just days away from the new iPad launch, Fast Company ran an item about how the tech company refuses any special treatment for celebrities. 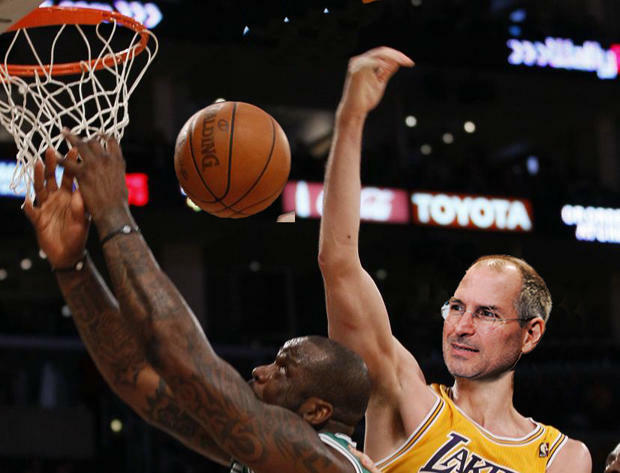 Years ago, when the first iPhone was about to drop, Shaq practically begged Steve Jobs for one, but it was a no-go. Channing Frye, Phoenix Sun's forward, even has a cousin who works at Apple. Nope, sorry. Not only does he have to wait like everyone else for an Apple gadget, the family member won't even give him a vague hint about anything i-related. Celebrity publicist Bradley Frank tried to get his hands on the iPhone 4 early for his clients, he was completely rebuffed. The reason? According to writer Jason Feifer, "at Apple, whose product launches spark entire news cycles, no celebrity symbiosis is necessary." That's a fancy way of saying the company doesn't need any more hype, thank you very much. And so, the rich and famous will have to wait it out. Just like the rest of us poor shlubs.